There’s a strongly likelihood that you’ve landed on this page because you’re about to set out on an exciting adventure into Matched Betting. Before doing so I urge you to take the time to read this Profit Squad review, you’re guaranteed to learn something that will help you increase profits going forwards. Whilst I was at university, I stumbled across the world of Matched Betting and haven’t look back since. 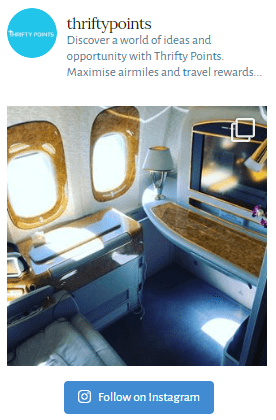 The £1,500+ per month that I was making help to fund a rather extravagant lifestyle and has since gone on to help fund my many business ventures. When I began matched betting some 10 years ago the software was pretty basic. In fact, I developed my own excel models to help stay ahead of the game. Fortunately, you no longer have to worry about this with a number of website offering free and premium matched betting services. This Profit Squad review will give you an insight into the premium service, access to their free trial and most importantly some helpful cost analysis. We want to make sure you’re getting value for money! What does Profit Squad do? What other services does the Profit Squad Software offer alongside the sign-up bonuses? For those that are new to matched betting I’d recommend taking some time to reading my step by step guide. With precision, care and concentration it’s possible to make more than £1,500 per month risk free from Matched Betting. To avoid the risk of human error, both myself and thousands of other matched bettors use online platforms to automate the process as much as possible. Big names in the market include Oddsmonkey and Profit Accumulator. Both of which offer free versions. There are a number of other smaller sites in the market offering ‘matched betting services’. Some of these provide very similar services to the larger players however there are also a number that need to be avoided like the plague so doing you’re research if vital! 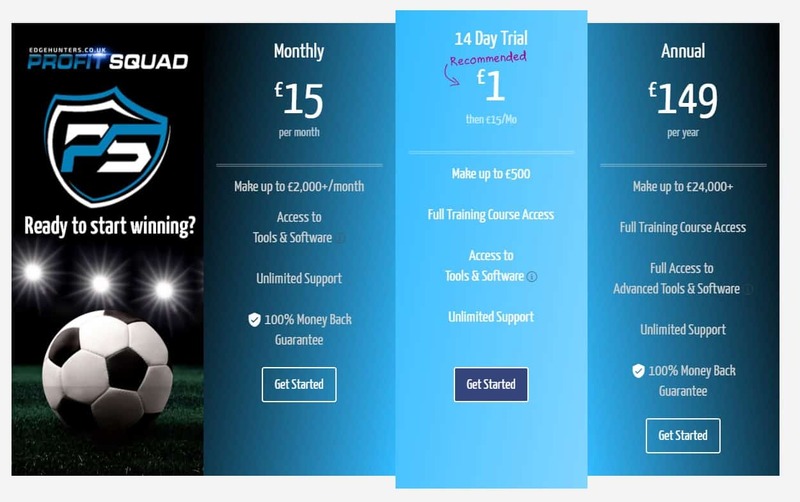 Profit Squad basically holds your hand throughout the matched betting process. There are many tools on the site which will walk you through every worked example with signup bonuses ranging from £5 to £100! Let’s start with the cost. The premium membership is £15 per month or you can pay annually for £149. I’d recommend making the most of the 14-day trial for £1 by clicking here. With this trial Profit Squad claims you can make up to £500 (I reckon it’s closer to £350), which would offset your annual subscription and provide a nice holiday on top off that as well ?. This is a similar price to Profit Accumulator at £17.99 per month and Oddsmonkey at £15 per month. Shameful plug – If you are thinking of going on holiday why not try a luxury 5-star hotel in Rome for the weekend for free. Read by guide to gaining a free weekend away in Rome. Now back to the matter in hand. Matched betting can seem confusing however with the numerous videos and tutorials on the site, anyone can learn how to match bet. I took the plunge and signed up to the 14-day trial for £1 to gain access to the software. Having spent a considerable amount of time using Oddsmonkey (see my review here), the Profit Squad software appeared slightly basic but fit for purpose. With the 14-day trial (just click here), whilst there’s £500 of offers available it would be difficult to completely maximise these bonuses. A realistic amount to expect to make over the 2-week period would be £350. This is because a number of these offers include stake not returned free bets where it is slightly more difficult to extract the full amount of. That said, it’s more than easy to make enough to pay for the first couple of months (if not year) of your subscription using the free trial. As I mentioned, Profit Squad have developed many videos to help anyone who’s new to the world of matched betting or indeed old salts like myself. These step by step videos will help you completely understand the art of Matched betting before you set of and start using any of your own money. Once you’ve undertaken the various tutorials it’s time to move on to the sports sign up bonuses which is your first point of call when it comes to matched betting. At the time I signed up there were 49 bookmakers sign up offers, each with its own set of step by step instructions. These are easy to follow with a built in oddsmatcher (a service which will allow you to lay the bet on an exchange) and calculator. The oddmatcher maybe wasn’t quite as functional as say Profit Accumulator or Oddsmonkey which both provide direct links to the bookies page where you can place the bets. Once you’ve signed up to the 14-day free trial, all the platforms tools are available to use. Let’s look at what they offer in a little more detail. The Odds Matcher tool is any Matched Bettors main resource. I don’t pretend to know much about gambling in fact I hate everything about gambling however this lovely piece of software will guide you on your path to success. It will allow you to complete all of the offers by finding sporting events where the odds at the bookmaker are very similar to the exchange. In some instances, you can back a bet for more than you lay a bet and on top of the free bet you’ll also be able to make an additional 1-2%. Something I’d mention at this point, don’t turn your nose up at offers where you’ll only make £1-2 a time, trust me when I say these really do add up! Take a look at the Profit Squad Odds Matcher below. 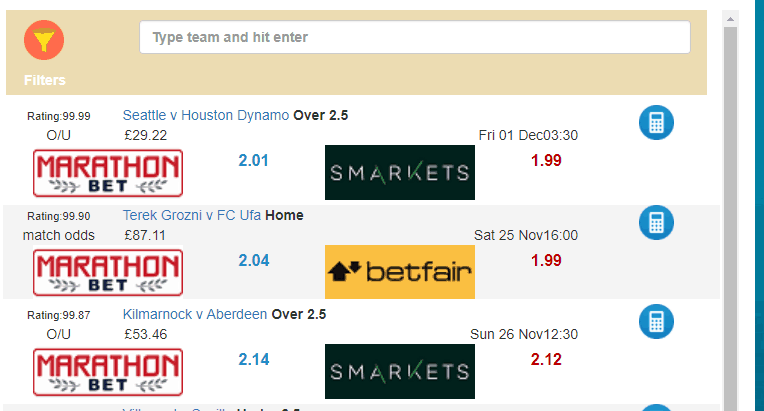 You’ll see that on the Seattle v Houston game, Marathon Bet are offering back odds at 2.01 and Smarkets are offering lay odds at 1.99. Smarkets charge a 2% commission on all winnings and as such should you bet on both scenarios you wouldn’t lose (or make) a penny. This will allow you to turn over the minimum spend to claim your free bet. Something very important to highlight is set out below. At the exact same time I ran a search on the Oddsmonkey platform and you’ll see below just how many offers there are with various bookmakers where the back bet exceeds the lay bet. As such I’m disappointed with the lack of offers on the Profit Squad software. Note that this will mean that in the long run there will be less competitive offers for you to undertake and you’ll make less money! Very important indeed. The above Oddsmonkey software is one of the best in the market. Let’s focus on the top example for a second to just understand exactly what is going on. 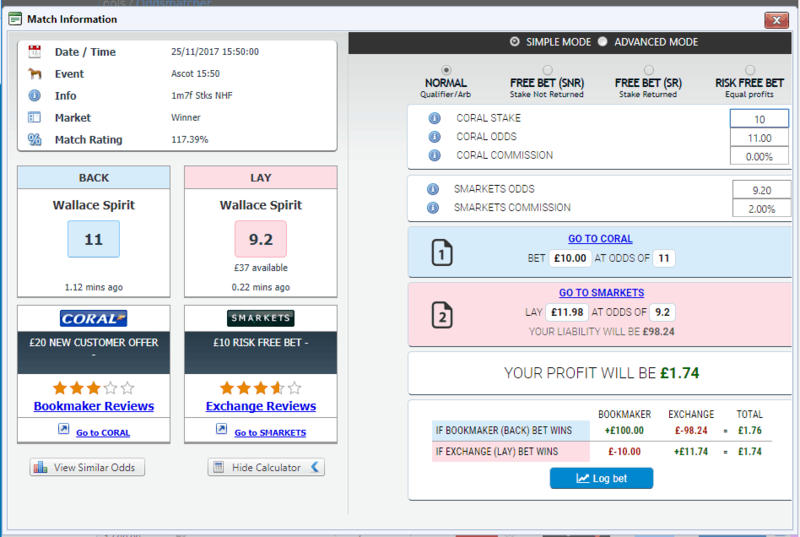 In the 15.50 Ascot race it’s possible to place a bet on Wallace Spirit at 11 and then lay that same bet at 9.2 with Smarkets. That’s a spread of 1.8 in your favour. Calculator – Built into the Odds Matcher, the calculator will help you work out the lay bets you should place depending on whether it’s a qualifier bet, free bet with stake not returned etc. Profit Tracker – Oh how times change since I was at university when I used to have to do this on an excel spreadsheet. Whilst not the best of the market, Profit Squads Profit Tracker will allow you to keep a handle on the bets undertaken and the money you’ve made! Each Way Calc – Not one for the newbies but a helpful tool non-the less. This will allow you to place bets and make a consistent profit on each-way bets. Easy to use once you get your head around the concept and functional. 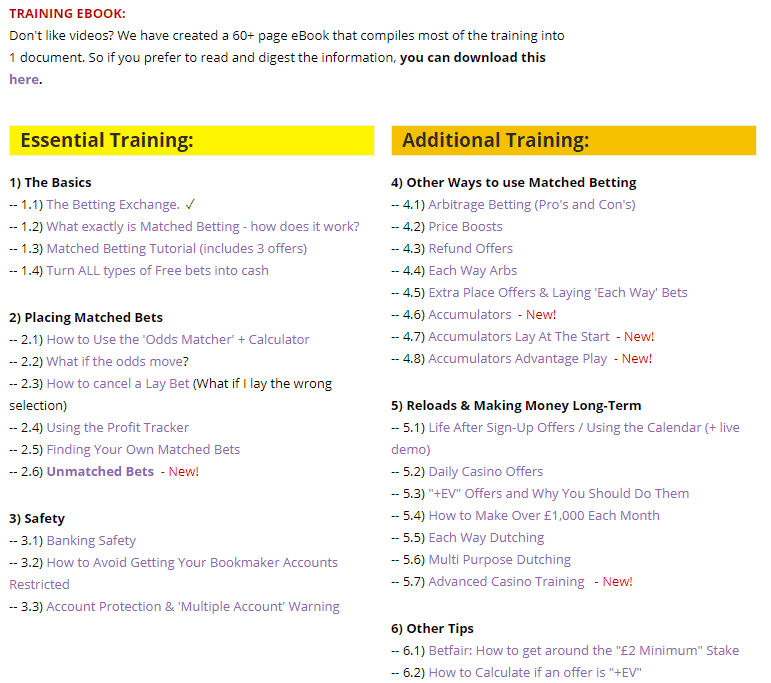 Dutching Matcher – The art of Dutching is where you don’t use an exchange (like Betfair) to place bet but instead use two bookmakers. The software allows you to easily find close matches and arbitrage opportunities. Now you’ve learnt about the tutorials and tools from this Profit Squad review, I thought it would be helpfuk to provide a few tips for how to maximise your use of the site. Forums – Profit Squad has an active forum full of a great crowd of people. Share gossip, ask questions, get involved! Reload offers – Once you’ve worked your way through the free offers it’s time to move onto the reload offers. There’s a Daily Offer Calendar to make this easier with a list of all available offers on that particular day. These are essential to make on going profit from Matched Betting. Risk Free Casino & Bingo Offers – this is a fun way to make even more from your matched betting experience. What I’d highlight is that there are many risk-free offers but there are also some low-risk offers. Being relatively risk adverse, if there’s usually any risk I tend to stay away. Use the EV calculator mentioned above to work out where a casino offer is likely to be profitable. Withdrawing money back to a debit card can take considerable time with bookmakers. Especially if like me you are working with a relatively small initial pot. I’d therefore recommend signing up to Neteller or Skrill which are e-wallets with withdrawal times which are considerably quicker. Think 4 hours as opposed to 4 working days for the worst! Make sure you check that sign up bonuses can be earnt from deposits using e-wallets. Some bookmarkers won’t accept this but will allow you to earn other bonuses going forwards. Don’t try and do it all on your phone! In fact forget about Matched Betting on your phone completely. Lock yourself away in a relatively quiet space where you can concentrate on the task in hand. Matched betting is risk free however as soon as you decide to gamble with even a penny’s worth of your money the bookie has the upper hand. This is what they want you to do so stay well clear! Whilst the platform is easy to use with various features and helpful tutorials, the area that really let’s Profit Squad down is the Odds Matcher Service. As I’ve mentioned, this is the Matched Bettors go to tool and in this instance the number of good matches were limited (to say the least!). This will stop you maximising income over the long term and means you are getting less value for money. One further grudge I have is that Profit Squad doesn’t offer telephone support. If you’re paying premium prices you expect a premium service. This compares to free 1 to 1 telephone training offered by Oddmonkey. As I’ve alluded to, I’ve made £14,500 with Oddsmonkey and swear by the software. You can have a look at why I rely upon it so heavily by reading here and also benefit from the free sign up bonuses offered. If you still thinking of pressing ahead with Profit Squad I have no doubt that you’ll be able to make a good income from the platform. Make sure that you sign up to the software by using this link to get the £1 free trial. You can use this to earn somewhere in the region of £350 which will definitely help get you going. Please do comment below if you have any questions on the Profit Squad review and share this post with any friends who’d benefit from Matched Betting.